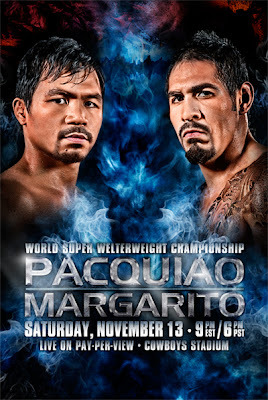 Boxing fans, get ready for the fight of the year: Manny Pacquiao and Antonio Margarito will punch their way to win the World Welterweight Championship title. Manny Pacquiao or "Pac Man" was reported to be down with flu last week, but is now back to training and sparring mode with trainer Freddie Roach in Baguio City, Philippines. Now Freddie Roach offers $2,000 to whoever knocks Pacquiao out. So far, Amir Khan of England and Vanes Martirosyan of California have accepted the challenge. Looks like this is part of Pacquiao's training against the "Tijuana Tornado" who claims he will knock the "Pac Man" out with an uppercut. Now I certainly can't wait to watch the Pacquiao-Margarito fight on live streaming.